This thing is becoming interesting. I've been watching talk of NOT selling Turkey F-35's and thought it was a lot of bluster without real meaning. Turkey is a partner nation. 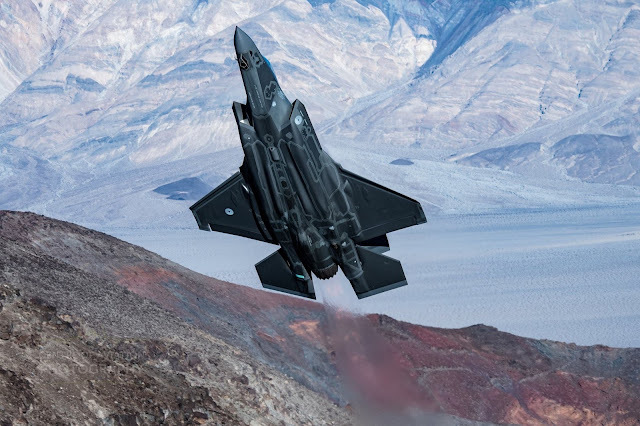 The program office can't afford to have 100+ F-35's taken off the books...not now...not when the program is desperate to ramp up to drive down costs. But apparently this is real. Check it out from Almasdarnews. Turkish Foreign Minister Mevlüt Çavuşoglu stated on Monday that the U.S.’ hesitancy to sell the F-35 fighter jets has caused friction between the two NATO nations. “There really is tension between Ankara and Washington over a contract for the delivery of fifth generation fighters, but do not forget that Turkey, even before the contract with Russia, discussed the issue of air defense procurement with its ally,” Cavusoglu stated. “The US Washington refused to sell them to us. If they are ready to sell such systems to Turkey today, we are ready to buy them,” Cavusoglu said at a meeting organized by the Turkish-American National Coordinating Committee (TASC), as quoted by Anadolu Agency. This is getting good and illustrates the idiocy of international development of weapon systems. Alliances are always short lived things. Friends today transform into enemies tomorrow. Even among allies international weapons development has ALWAYS been painful and rarely fruitful. The best course has always been for a single nation to develop a system and if it works others will buy it. Building to committee always fails. When you add in wild cards like geo-politics of the Middle East and S. Europe and you have nothing but a mess. Turkey should be sold the F-35. Bug them, put in kill switches and plant explosives so that they explode mid flight if they head toward a target we don't like...but sell the plane. If it works like I expect then we can anticipate the Turkish Air Force to be combat ineffective in months.